I hope you are having a wonderful February so far. The weather has been so crazy around here. Today is the very first decorating challenge of the new year with my decorating buddies and I. And YOU too if you want to join in! You can ….and we would love you to. Today is also a very big day for me……it’s my birthday and …..I am FIFTY! Oh my, how can it be?! I don’t even know what to think about it. ha! It just seems weird. BUT honestly, how I do feel is grateful, thankful and blessed to be here. It is a privilege to have the chance to grow old. (not that I’m old or anything ;)) And one that many don’t get. That is not lost on me. Especially with my past health history. Alrighty back to the challenge, if you are new around here, let me fill you in. My decorating friends and I have created a wonderful, friendly, helpful Facebook Group that is all decor and a bit of DIY too. You can post, ask questions or just share your lovelies. 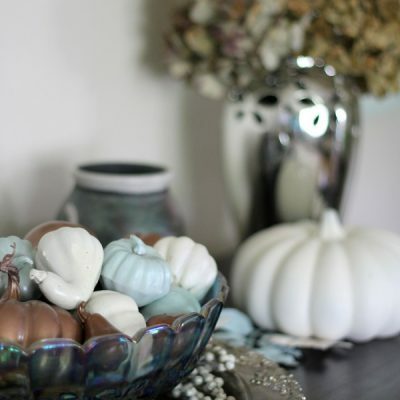 AND you can join in on our decorating challenges every month if you’d like to also. Also, for this project, I’ll be sharing a few affiliate links to the products I used for your convenience. My disclosure is here. 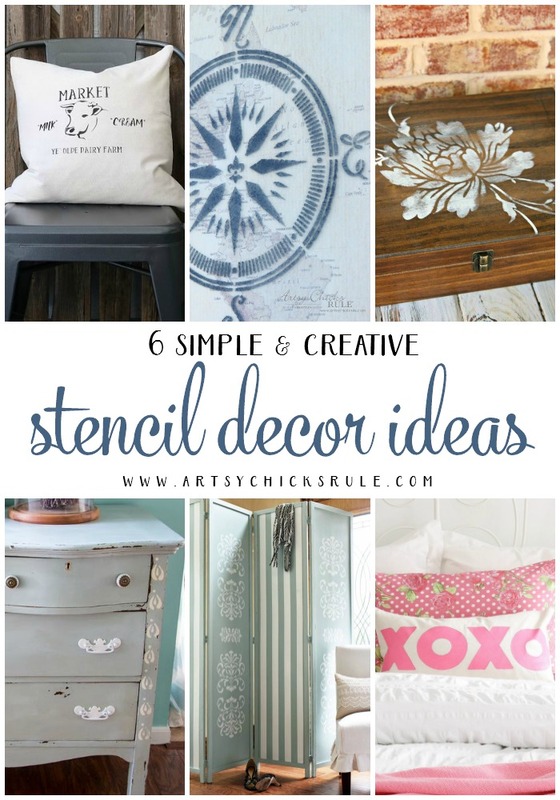 This month’s challenge is…..decorating with stencils. I went thrift store shopping a couple weeks ago for the first time in a long time. I LOVED that rustic frame and the glass in it had a matte finish, not shiny. PLUS it was only $4. And I created several cute graphics that I’ll have to share with y’all at a later date. I decided to use a store bought stencil instead. 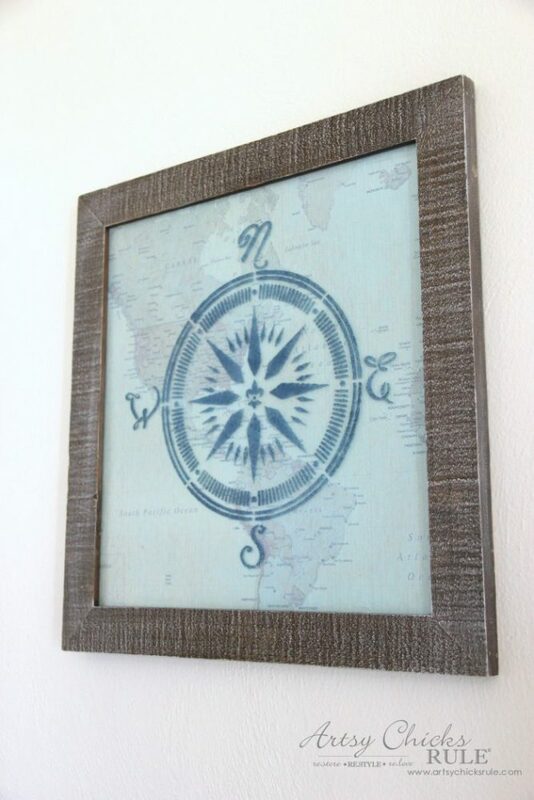 And I found a nautical compass stencil that was perfect and perfect for my home. There are just so many great stencils available these days. I know you are probably sick of hearing me say how easy my projects are. This one was no exception at all. It was truly simple, you’ll see. 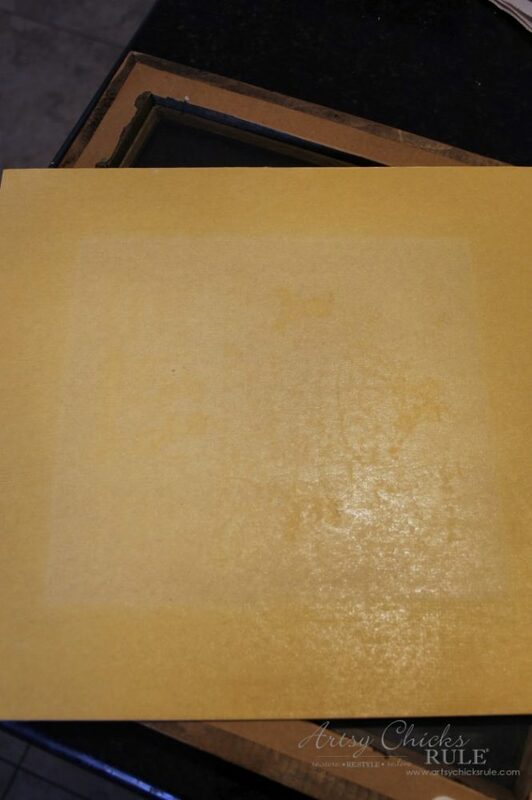 After removing the paper backing on the back, here is how it looked…. 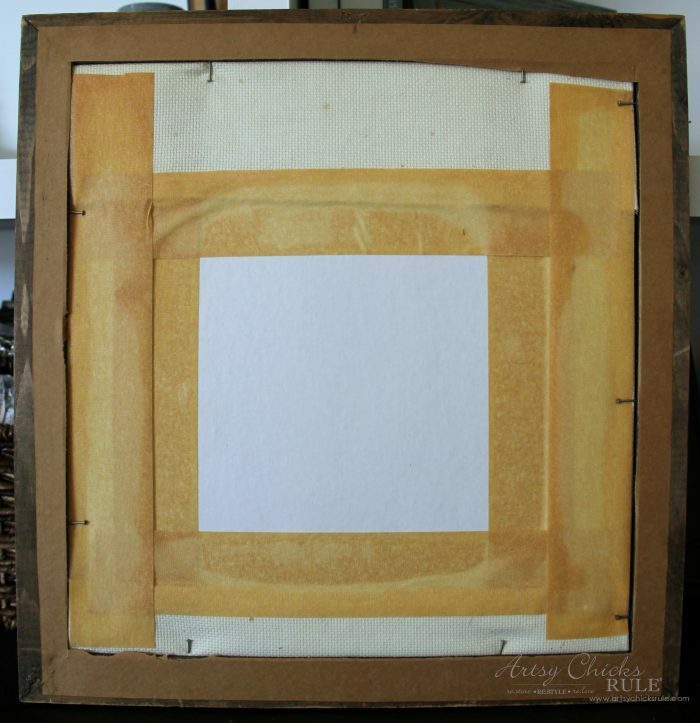 I simply pulled the nails out and removed the cross stitching from the cardboard. I kept the cardboard to attach the map to. Next, I bought the map I linked above in the materials list a few years ago. I planned to use it with another project but never did. No worries…I love paint, I love to paint and so why not just paint it? What!!?? I thought, nah, that’s not gonna work. It will cover up all of the words and map. I just sprayed it ever so lightly….and it turned out perfect! My husband said, “Is that some kind of see through paint?” Ha, nope! I just did a light misting over the whole thing. Now it’s a shade of blue instead of gold. Just what I wanted and I didn’t have to buy a brand new map, even better. 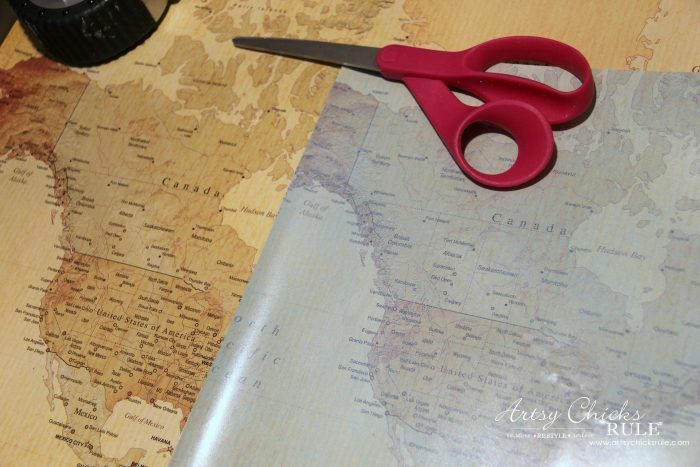 Next I used the cardboard as a guide to cut the map to the correct size. I put it inside (I tried gluing it a bit but honestly I should have just laid it behind the mirror, on the cardboard, and let it be) and then added a few nails to the back to secure. All that’s left to do is tape the stencil in place and paint. 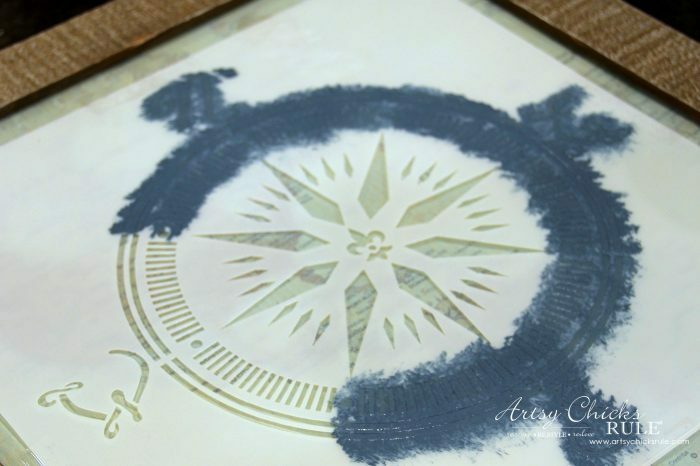 The key to stenciling is using the correct brush and dabbing the paint off a bit before hitting the stencil with it. It can tend to bleed underneath if you don’t or if you use too much paint in general. 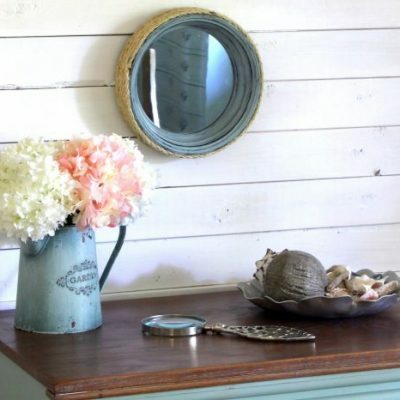 I used Aubusson Blue Chalk Paint because I wanted it to look “flat or matte” like the glass. I also did it with little paint because I wanted it to look a bit “weathered”. If I had wanted it darker and more filled in, I would have waited for this to dry and hit it with a second coat before removing the stencil. This paint typically needs to be sealed but I wasn’t really worried about that since it’s only purpose is to hang on the wall. See the sort of mottled look the paint has? That’s the look I was after. 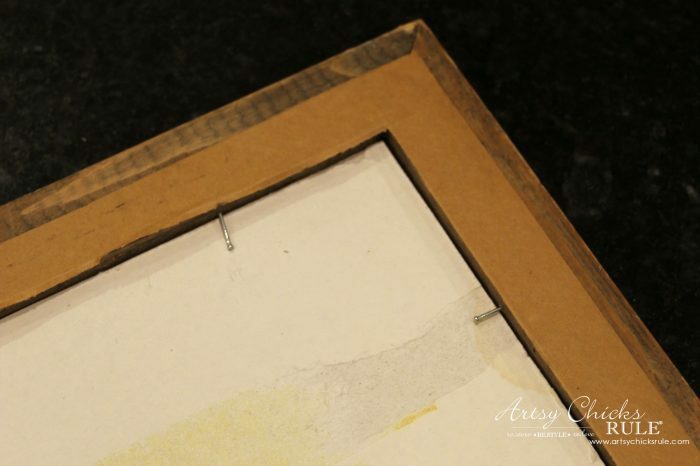 The frame got a tiny bit of white paint in the form of dry brushing. Which took all of 10 seconds, I think. I did nothing else to it. Isn’t that blue I sprayed the map perfect? It’s perfect for my decor anyway. And how about that frame? Also perfect for my decor. I’m really happy with how this simple little project turned out. 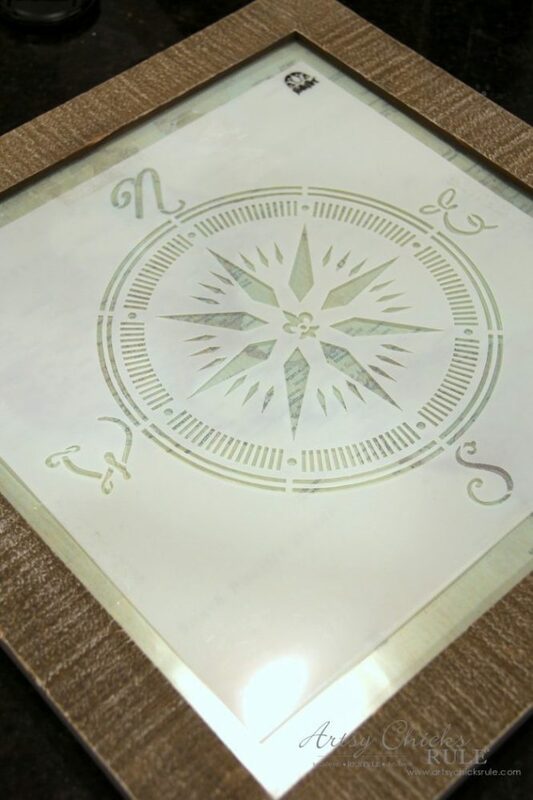 Here are a few other hand drawn and painted nautical compass rose projects I’ve done in the past. 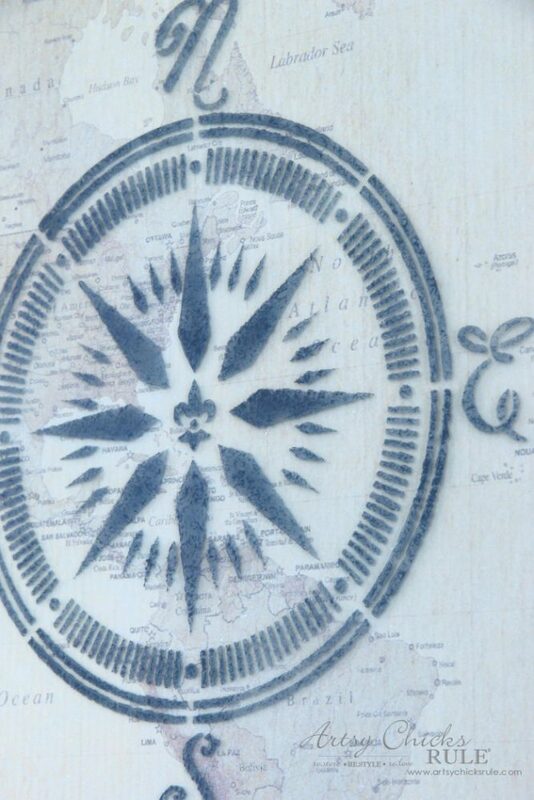 Doable…but not as quick as a nautical compass stencil, for sure! 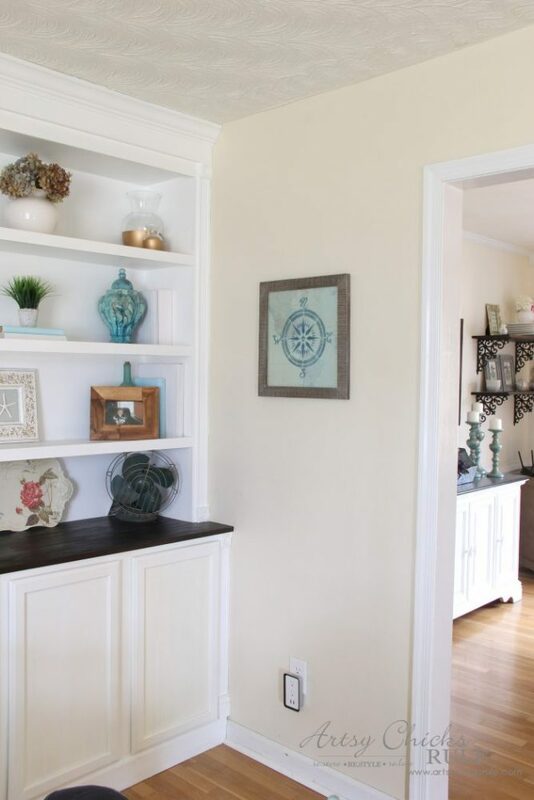 It’s so much cheaper to decorate your home with thrifty finds. A little paint and imagination is all it takes. 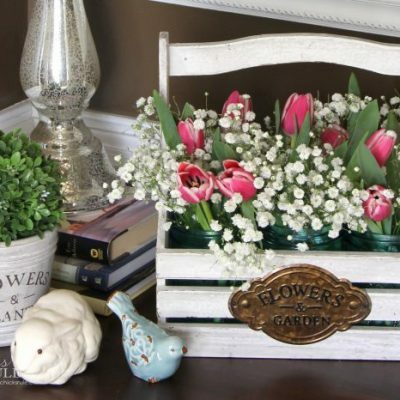 I would say, probably 80% of the decor in my home (if not more) are thrifty finds made over. How can you beat $4? Surely that would have been much more retail. 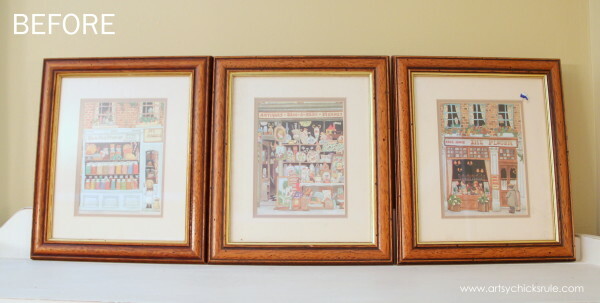 I hope I’ve inspired you to take a look around at your thrift stores, yard sales, etc. Or even your own home. You may own something you don’t like anymore. Change it! This little piece of wall art didn’t even end up being what I originally envisioned. And that’s okay! Sometimes I’m not even sure what something will be when I bring it home. And that’s okay too. ;) Just bring it home and it will come to you. It always does! 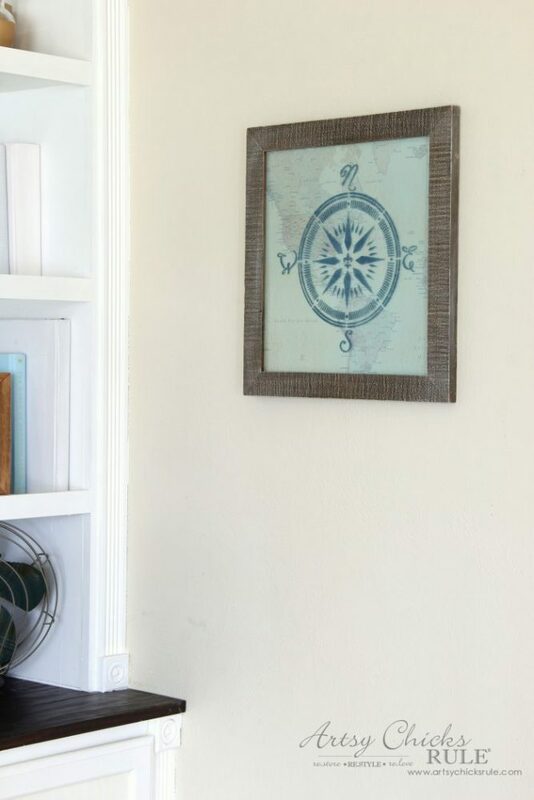 Be sure to PIN this nautical compass stencil idea to save for later! 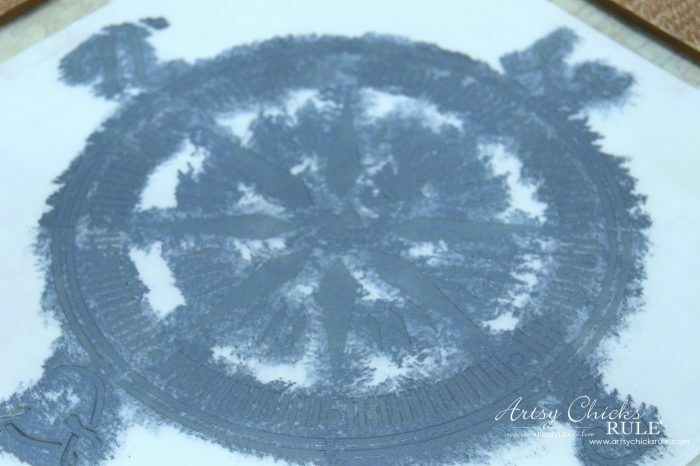 Now let’s see what my friends stenciled this month…. 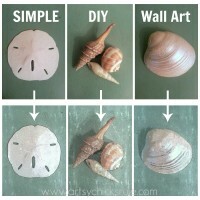 Hope to see you there and hope you join in on the stencil challenge this month too! I’ll see you back here next week with a brand new (old! ;) ) trash to treasure with my T2T friends. Happy Birthday! You are 50 and Fabulous! I loved your stencil project! Happy 50!!! The best is yet to come! 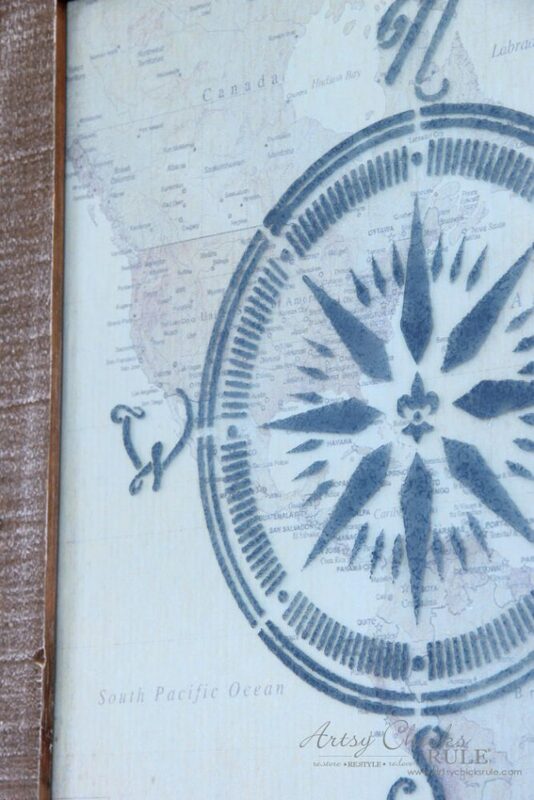 Love this map idea though I’ll change the colors, but I have an old frame and am going hunting a US map to cut down! Thanks for the idea and the how-to. This is beautiful – I love it. 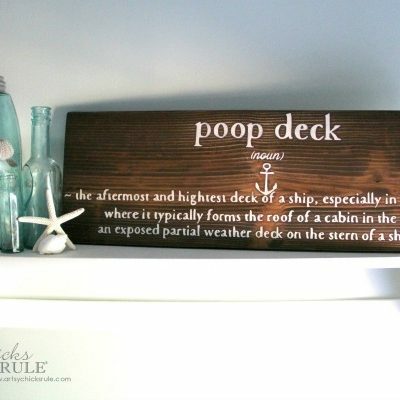 Sometimes I want to do nautical when I am redesigning my home, but it just doesn’t look right. I live in the North East and not near the ocean. 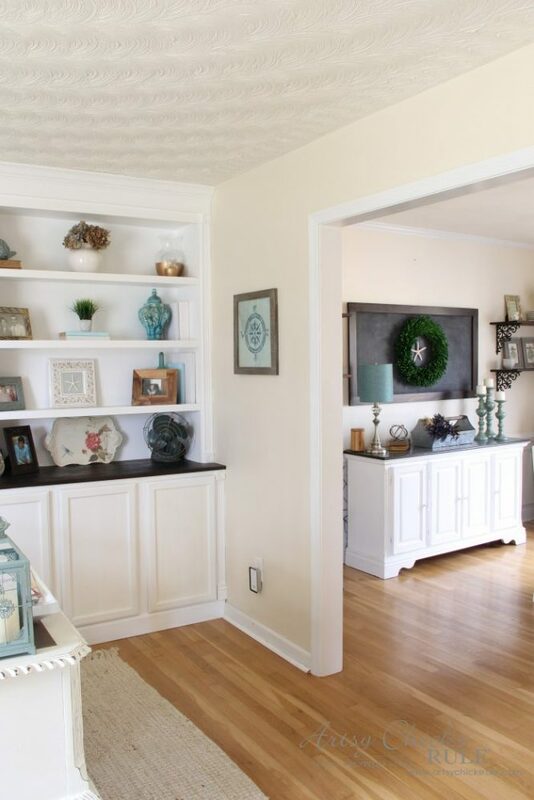 Most of my decor is French Country. Have a wonderful birthday. Enjoy every minute of your day today. I love it!!!! Great job! 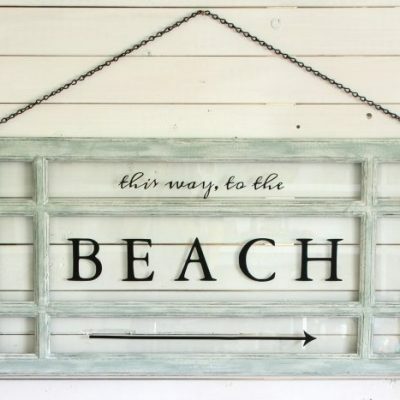 I have added the stencil to my wish list for my next order. Thank you for sharing! Happy Birthday! I know what you mean about age, I am 56 and think wow, I can’t believe I’m 56 years old! But we are blessed, right? I love your articles, they inspire me. Thanks! 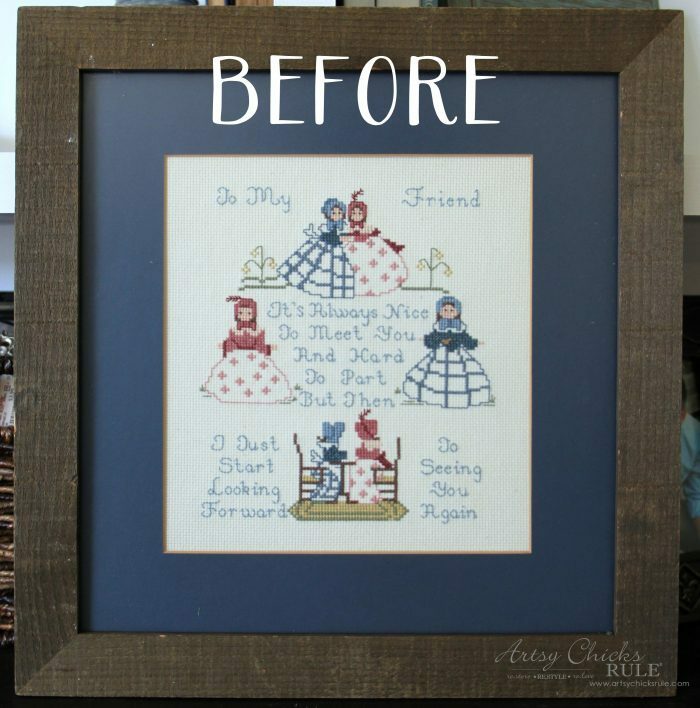 Do you plan to use the cross stitch in a project? I am so sentimental when it comes to cross stitch! Happy Birthday! I can’t believe you are 50 – you look like you are in your 30s. I really like the way that you used that stencil. Did you actually paint it on to the glass? I LOVE it!!!! 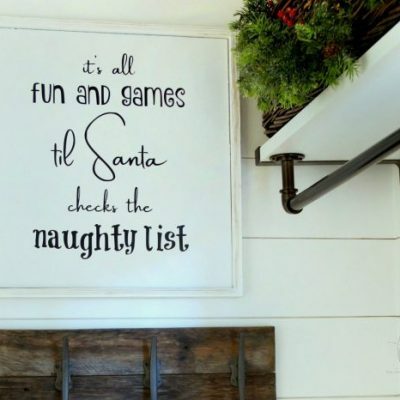 Super creative, and it came out looking like you bought it at Living Spaces (or somewhere like that)! 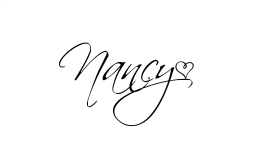 Happy Belated Birthday, Nancy! Welcome to the Nifty Fifty Club – it’s a fabulous club! 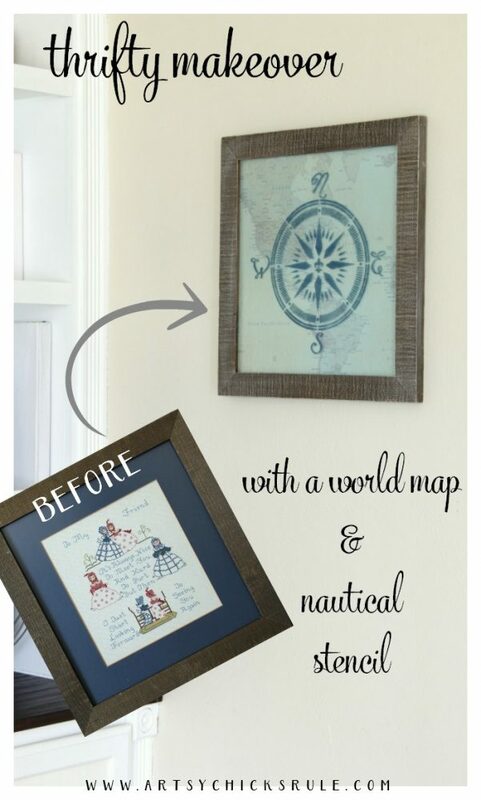 Love your nautical map art idea. I would never have thought to paint over the map. I hope you had an amazing birthday! I adore this project. Misting that map was genius! 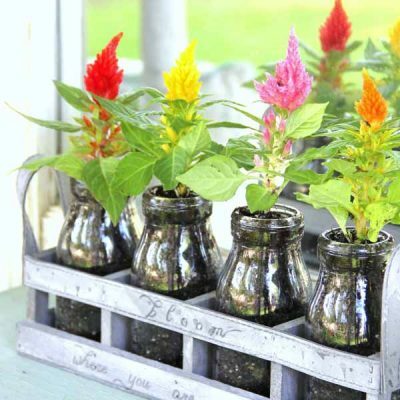 Cute idea…but I am blown away that you are 50! You look absolutely great and are an inspiration to us other “50”‘s.